That’s so cool! I love when people manage to use their scraps for something useful. Thanks! Not all of them were actual scraps I had. Some were from skeins I bought specifically for this project, some were given to me and some I got from the library’s collection (the knit night I am part of takes place at the library). So nice! 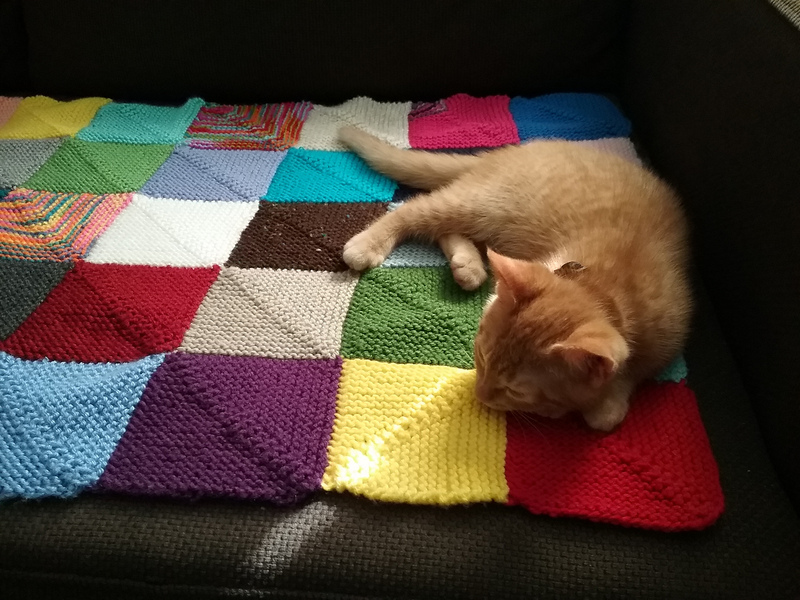 I am also knitting a blanket using the same pattern. I think I only have one more strip to go. Then I plan to crochet around the edge. Nice! I almost had a friend crochet a border for me but decided against it right at the end.